Arcadia residential greenhouses are designed with high quality greenhouse construction and energy efficiency for beauty and low-maintenance when attached to your home or freestanding in your garden. 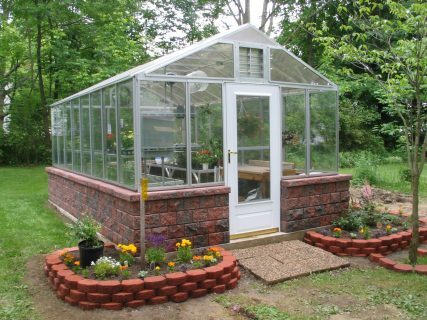 Arcadia greenhouses are built with a strong extruded aluminum frame and stainless steel hardware that will never rust. Our unique h-channel glazing system allows us to use full-length glass or polycarbonate panels for maximum insulation and no overlapping seams to leak. Our highest quality Sierra and Geneva greenhouses have 7/8″ thick, argon-filled double-pane glass. 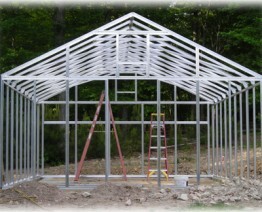 The beautiful aluminum frame has a thermal break for best greenhouse insulation. 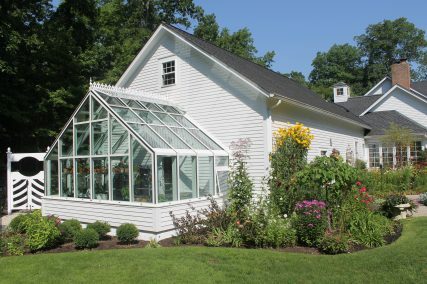 These custom freestanding or attached greenhouses with straight or curved glass will complement the architecture of your home. You don’t have to sacrifice quality with Arcadia Hobby Greenhouse Kits. Professionally engineered to meet any building code, our welded aluminum trusses and stainless steel hardware simplify installation while also making Arcadia the strongest greenhouse in its class! Learn more how you can achieve year-around growing with a quality, energy-efficient greenhouse kit that you build yourself. Arcadia GlassHouse wants to help your school or vocational program teach organic gardening and greenhouse growing to your students. Our horticulturists can help you design a working greenhouse that includes all necessary benches, lights, ventilation, heating, and watering systems for sustainable greenhouse growing. 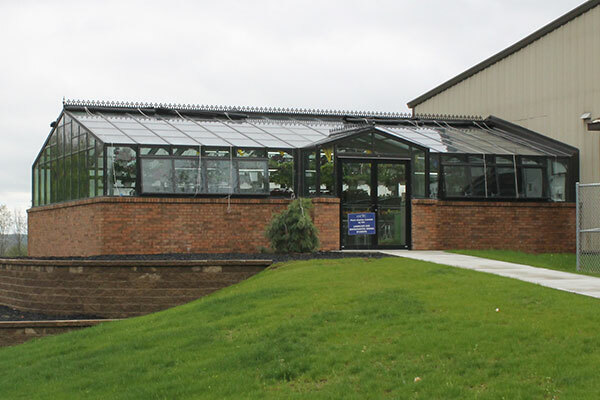 Contact Us for expert consultation with our experienced greenhouse builders and installers to help you choose the perfect greenhouse for you.